The years just fly by so quickly...so fast you don't even realize it until that "date" is staring at you right in the face. What date you ask? The day your baby graduates from high school.... June 18th will be here before we know it. How many do I have left to make...by my count, with days off and senior week, we have 56 sandwiches to go. I will remember each and every one as I put them in her lunch bag. Funny how the strangest things mean the most when you are moving on to a different phase of life. 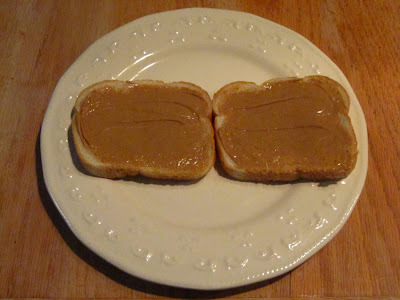 Here's a little tip for all of you who have little ones or big ones at home who eat pb and j sandwiches. 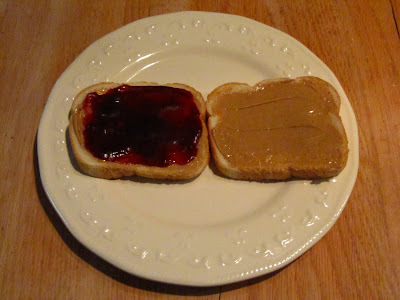 I spread a thin layer of peanut butter on each slice of bread, then add the jam. That way the jam doesn't soak through the bread and leave that big purple blob on the outside of the bread. For me that's the best part...for Kelsie, not so much! Thanks for letting me ramble...come back later today for a surprise give away. I just realized I missed the 1 year blogiversary of a special day!! Your baby is graduating on my birthday....June 18. Cute about the sandwich count! Hilarious! Never thought about cycles of life based on pb & j sandwiches! Sometimes the little things mean the most! Oh, the year our babies graduate from HS...so many last this and last thats! It is fabulous! You can sometimes slip long banana slices in between the layers of warm oozing peanut butter! I'm thinking this might make a good blog post in my near future!! I live in a communist state where we're not allowed to send our kids to school with pb&js. Why, do you ask? Because there MIGHT be a child somewhere in the school that has a peanut allergy. I would understand this if there was an ACTUAL child in his CLASS with an allergy, but this rule is based on supposition, and is school-wide! I firmly believe it's a way for the school to get more federal dollars for hot lunches. Ok, sigh, stepping off my soapbox now. Happy Blogiversary! Love the TTT's! I am sure she will remember every sandwich too. Most likely she will miss them when she is away at college. You had better pack her a couple of jars of both to keep her remembering Mom! You have made me nostalgic for those long gone days. Even my grandchildren are getting past those days. Sigh. how funny!! I made my son a PB&J everyday from kindergarten through 8th grade. He also like jam better and I made them the same way you do. Just an FYI, I thought I was done too! But the first year after college, was my daughters first year of teaching. She lived at home to save money before getting an apartment, I STILL made her lunch everyday!! So have no fears, it may not be over and we also use jam for the same reason!! This is so strange. I just made PB&J for my daughter and said to my husband that I would only be doing so for another year. She's a junior, so next year I will be in your shoes. Oh, Karen! I know just how you are feeling. My daughter is a Junior this year. It feels like she'll be gone before I know it. I'm excited for her to start a life on her own but it's sad to see this one end. Sometimes I wish I could've just kept her a toddler for ever!!! Too funny! Gosh, I hated making PB and J's. Maybe it is because I can't stand PB. Hmm. Yes, those years do fly by. It is hard to imagine they will ever fly the coop and then that day arrives. 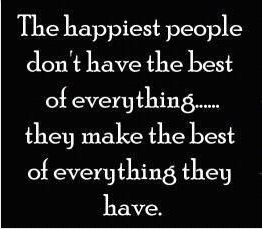 Trust me....it only gets better! We use jam too for the same reason! My husband is of the opinion that grape is the only REAL flavor, so there's always some of that in the house...he likes it on his onion bagel - ick! But my oldest who graduated from high school last year and now commutes to college still makes her own PB&J every morning before she leaves. I stopped making her lunch when she was in about 6th grade or so! PB&J travels well and doesn't need to be kept cold so she puts it in a glad ware container and tosses it in her purse! Karen, I had the same thoughts a year ago. Now my baby is home for his first spring break. Time flies! Funny how those little things get us all choked up! My daughter is also a peanut butter hound. I sent her to college with a jar and she eats some every day (she's a sophomore now). I'm a little concerned for her as next year she will study in France and if she can't find peanut butter it could be a crisis for her! You've got me all teared up today. I'm missing my oldest who's a freshmen in college. I feel your heart in this. I love PBJ sandwiches on home made bread!! Was introduced to them when we had an American lodger a couple of years ago.